Wader Quest: New Southern African Wader book: quick review by Rick and Elis Simpson. 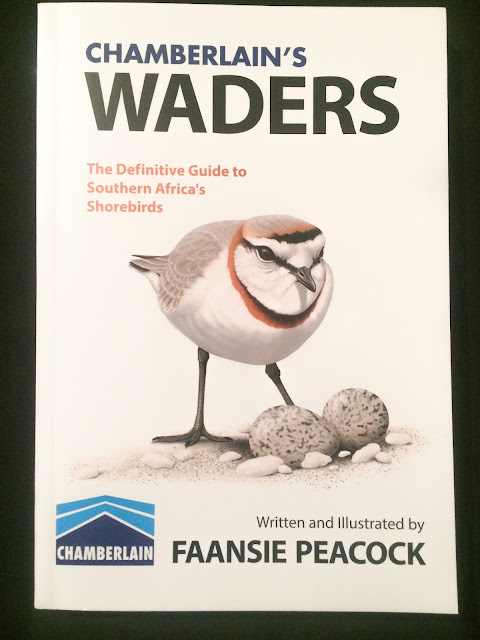 New Southern African Wader book: quick review by Rick and Elis Simpson. 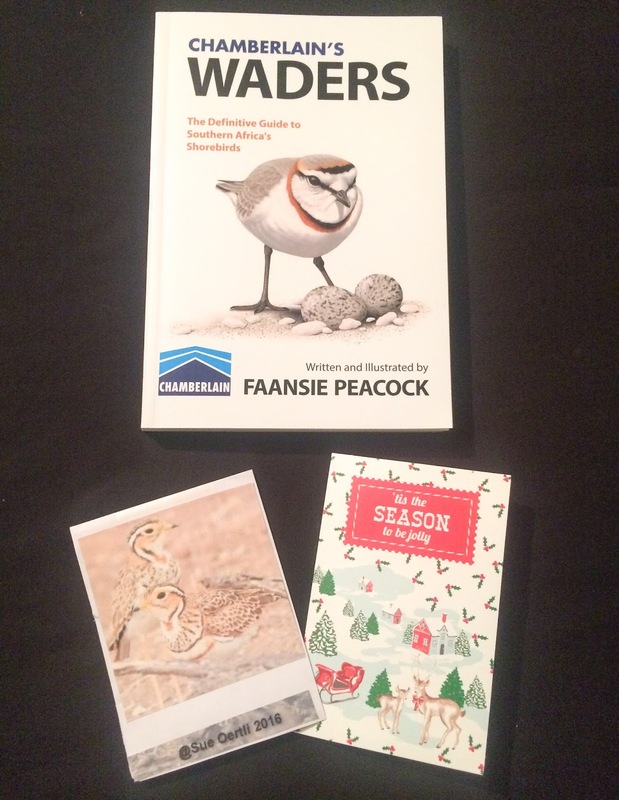 Our friends at Wader Quest South Africa Owen and Sue Oertli and Peter and Jenny Sharland and their respective families have sent us the new CHAMBERLAIN'S WADERS The Definitive Guide to Southern Africa's Shorebirds written and illustrated by Faansie Peacock! And what a book it is! 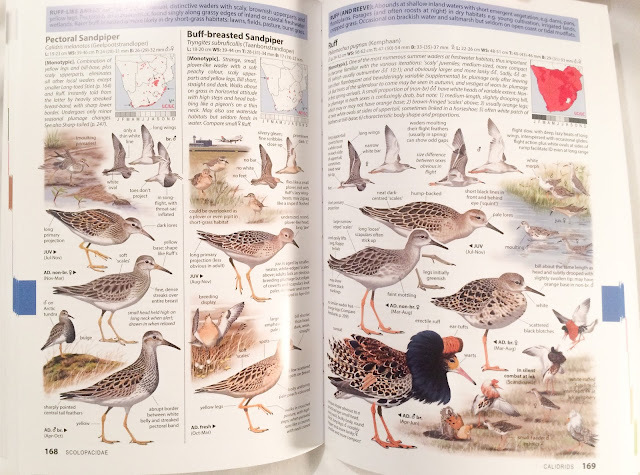 Tremendous new addition to our collection of wader books. Not yet available in the UK (we believe it'll be out here in January and available from the nhbs) we have, what is probably, one of the first copies yet to make it to the UK and, to make this even more special, it has been signed by Faansie himself. 'Fantastic' springs to mind as an immediate reaction. The illustrations are first rate (which will not surprise anyone familiar with Faansie's previous work) and the amount of information that is included about the 80 species of wader (which includes three buttonquails for the more modern waderologists out there), in an simple to understand and sometimes humorous manner, is extensive and easy to read. 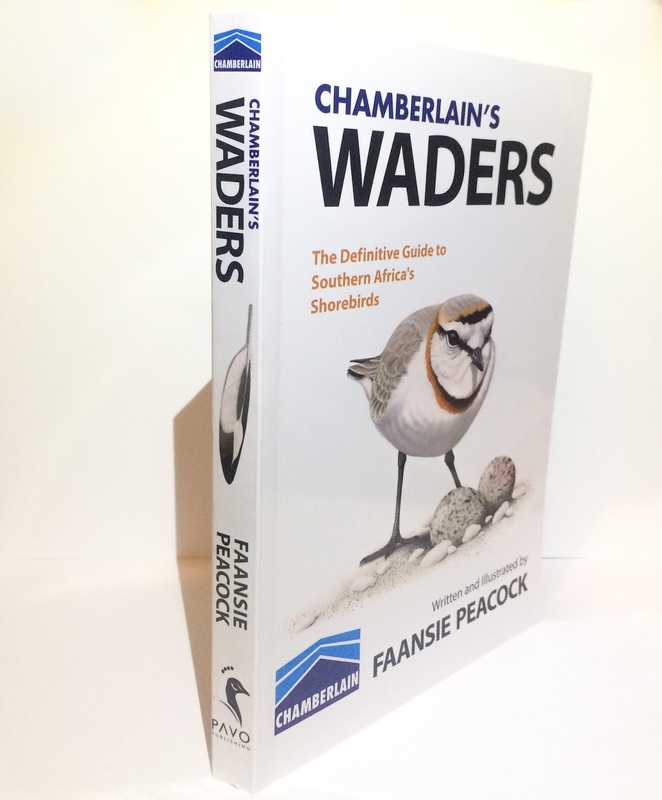 There is a lot of detail about the life and biology of waders and some really helpful hints on how to identify them in all their plumages. 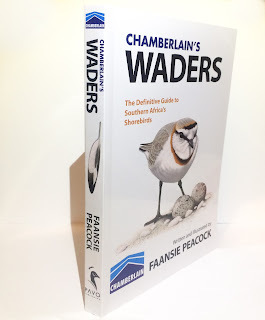 This you would expect from a guide of this sort but, because it is about a specific region, Faansie has been able to helpfully included wader hotspots for anyone planning a trip to look for these wonderful birds. As not everyone will have, as we did, the advantage of help from the Wader Quest South Africa team this will prove to be an essential bonus at the planning stage. Obviously we haven't had a chance to read it cover to cover yet as it only arrived today (incredibly posted on the 23rd of December in Johannesburg) but we have seen enough to know we like it very much indeed and will be delving into it every opportunity we get in the next few days and weeks to come and, after that, it will form a useful part of our reference library filling a gap about the southern African waders that has existed for too long. It is a fantastic achievement for one person to produce such an excellent piece of work creating both the brilliant illustrations and writing the comprehensive and authoritative text, we take our hats off the Faansie and offer him our congratulations on the publication of this beautiful book. 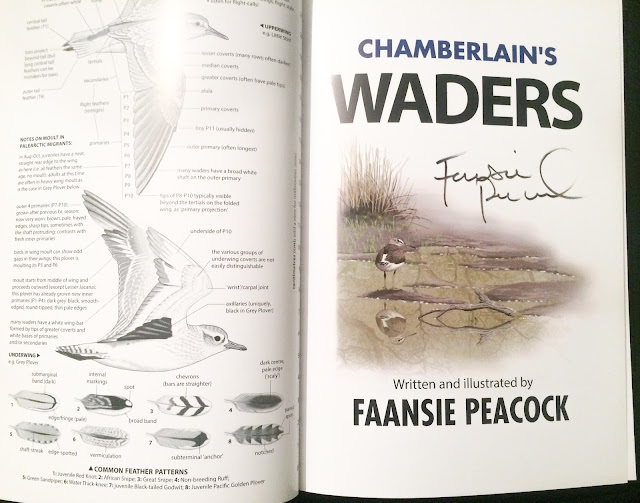 A huge thank you to the good folks of Wader Quest South Africa who have typically once more gone above and beyond the call of duty with their generosity and also to Faansie Peacock and Chamberlain for producing the newest stunning addition to our collection of wader books.